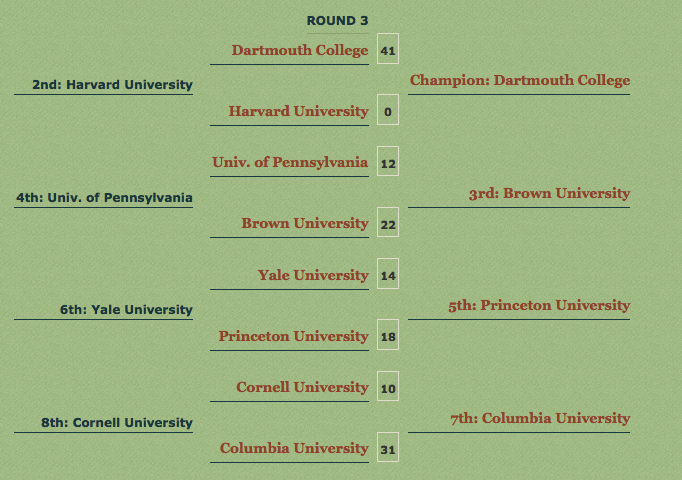 Each of the eight Ivy League universities will be in attendance for the 40th annual 2008 Ivy League Rugby Championships. 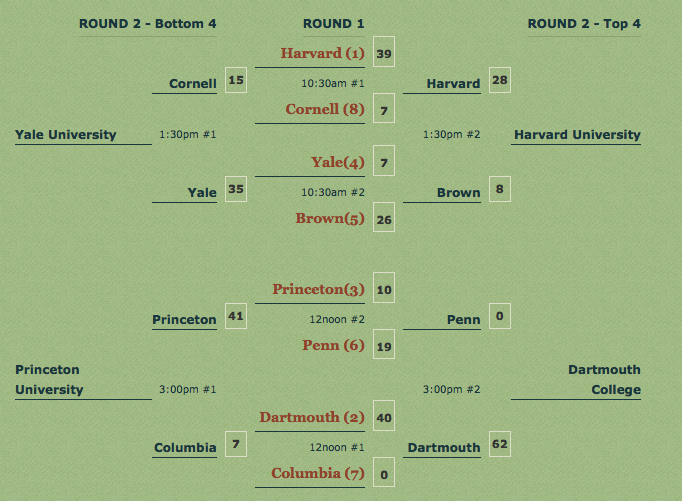 The tournament will be hosted by Columbia University on April 26th and 27th, 2008. The 2008 Ivy League Rugby Tournament will be played at two locations. The games of Saturday, April 26th will be held at Tibbetts Brook Park in Yonkers, New York. The games of Sunday April 27th will be held at Columbia University’s Baker Field Athletic Complex in Manhattan, New York City, New York. The tournament fee is $300 per team. The fee covers field rental and preparation, referees, standby EMT, and all administrative costs. Match balls will be provided to each field, an All Ivy Team will be selected and mugs will be given to each member of the winning teams. Per USA RUGBY, Metropolitan New York Rugby Union, and Columbia University policy, the 2008 Ivy League Rugby Tournament is an alcohol-free event. We respectfully request that all teams abide by this policy and make every effort to inform fans and supporters of this requirement. All players must have adequate medical insurance to be eligible to compete in the 2008 Ivy League Men’s Tournament. Each team must check in with the Tournament Director at the Tournament Director’s table no later than 10:00 a.m. on Saturday, April 26 to confirm registration, roster, payment of the Tournament fee, and to receive field assignments. Any additional information will be conveyed at that time. Team Captains and the match referee will meet at assigned field 5 minutes prior to kickoff for coin toss and instruction. All teams must play in assigned matches; failure to appear within 5 minutes of kick-off will result in disqualification and report to appropriate governing body. To be coordinated by the Rugby Referee’s Society of York. Athletic trainers will be on site at Baker Field on Sunday April 27 for tending to on-the-field injuries. Each team will be responsible for its own trainer(s), should they choose to bring them, for taping and wrapping their players. Seedings are based on the 2007 tournament finish.